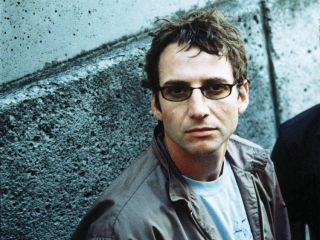 A trend seems to be appearing in the Pearl Jam camp as, following the recent release of Jeff Ament's Tone, guitarist Stone Gossard has announced plans to release a second solo LP this autumn. The album, which is yet to have a title, features a number of collaborations including new sounds from folk singer Pete Droge, vocalist Barb Ireland and multi-instrumentalist Hans Teuber. One new track - Your Flames - will soon be available in both studio and live versions from Pearl Jam's website. Gossard's latest offering is being tied to Timberland's (the shoe makers, not Timbaland) Dig It initiative, which aims to promote environmental awareness through music. Gossard is all set to play four gigs in October in support of the campaign. Tickets will only be available to those saintly souls who volunteer for 're-greening' events, and all proceeds from the concerts will be donated to Conservation International. You can expect to see waterproofed Pearl Jam fans volunteering at your local Greenpeace from today. Stone became the first member of Pearl Jam to go solo when he released Bayleaf in 2001.